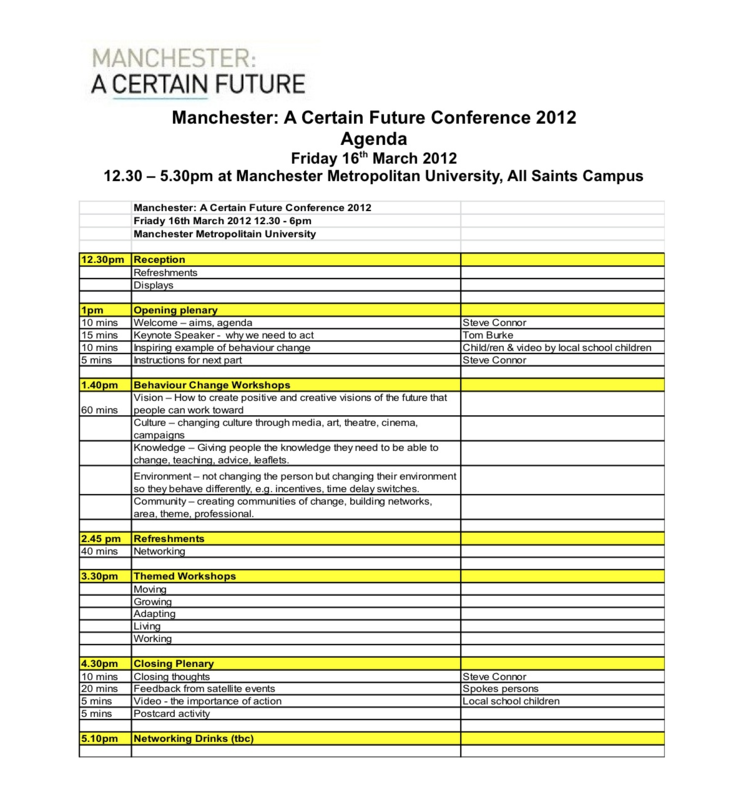 Not long left now till Manchester’s climate change action plan stakeholder conference. It’s been quite a wait (from the last annual conference in 2010) but if you were lucky enough to snap up tickets, you can now take a sneak peek at their programme for the day. Some details still need to be confirmed but the major outline of the event is now clear. Each of the workshops will have a note taker, these will then be collated and the summaries posted on the website. The details will then be given over to the sub-groups of the steering group to help inform their work over the next 12 months. Within any luck these suggestions will meet with more of a response than our Open Letter to the Steering Group got. The keynote speaker is Tom Burke, who is founding Director of E3G, and a Visiting Professor at Imperial and University Colleges, London. Burke previously served as Executive Director of Friends of the Earth and was made a CBE for his services to the environment in 1997. All tickets sold out in the first two weeks and there are already 16 people on the waiting list. As the stakeholder conference is part of Climate Week, there will be satellite events to attend if you can’t make it along to the conference. These include events by Friends of the Earth, Groundwork, MERCi, Business in the Community, Red Rose Forest, Action for Sustainable Living, Sustainable Food Group, Chorlton Refurb, the Biospheric Foundation and GreenSpirit Greater Manchester. More details of these will be on the manchesterclimate.com website soon we’ve been told. As we reported earlier, there will not be elections to the Steering Group. Late last year the Group unilaterally altered its own Terms of Reference to avoid the expense and apparent ‘difficulty’ of having a democratic component to its make-up. Freelance journalist based in the UK with an interest in the Middle East, environmental issues, Islam-related topics and social issues such as regeneration. This entry was posted in Climate Change Action Plan, Democratic deficit and tagged Annual Stakeholder Conference, Climate Week 2012, Stakeholder Conference, Steering Group. Bookmark the permalink. I think the satellite events for 2012 are here: http://www.manchesterclimate.com/node/3808 – http://www.manchesterclimate.com/climate-week looks like 2010?